Internnship information for Wild Earth Farm-vegan permaculture and Wild Earth Sanctuary-farmed animal sanctuary work. 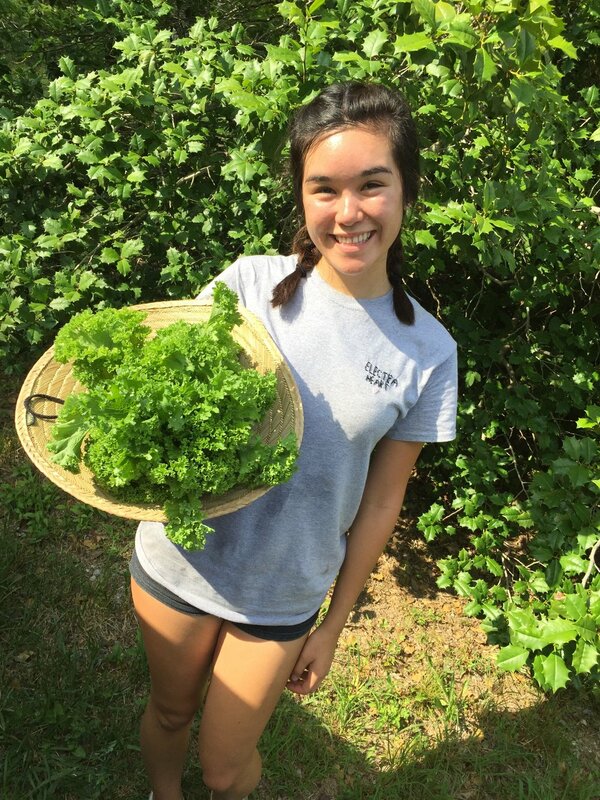 At Wild Earth, we value interns as integral members of the farm community. As an intern, you will have the opportunity to participate in all aspects of farm life, from working in the organic gardens, caring for rescued animals, increasing our sustainability and regenerative measures, developing permaculture designs, building and construction projects, and education and outreach in the community. We look for interns who are deeply about animals and the earth and who are reliable, responsible, dedicated, and who are hard workers. Our internships are volunteer-based, and we supply room and board in exchange for an agreed upon number of volunteer hours. After farm work, there are plenty of opportunities for hiking, exploring, foraging, swimming, caving, and other fun on the farm! *NOTE: We are no longer accepting internship applications for 2019 (unless you live locally and plan to commute or can bring your own housing). You can still apply for the May-October 2020 intern season (by clicking on the Intern Application link above) or applying to volunteer. Have more questions about interning? Check out our FAQ! All intern positions are filled for 2018. Get in your application for 2019 early! NOTE: Adobe Reader is needed in order to view and fill out the application. If you don't already have it, a free download is available here. I travelled from Canada’s prairies after hearing about Wild Earth through my first internship at Farm Sanctuary, NY. Through my experience there, I was inspired to learn more about the connection between plants, animals and people. The connection between permaculture and animal rescue is the link I was dreaming of. Here, I can take in the knowledge I need to plant seeds for my future. I aspire towards nurturing and building community with wildlife, native perennial plants, trees, animals, and people. Where there is a will there is a way. I am extremely passionate about animal rights, simple living, and environmental sustainability. When I found Wild Earth, I was overwhelmed with joy to find a place so deeply aligned with my values. Interning at Wild Earth has helped me develop the confidence needed to live my truth and pursue my passions to the fullest. Since becoming vegan three years ago, I have felt that being vegan- causing the least harm to animals that I can- was the least I could do. Wild Earth gave me the opportunity to do something positive for animals while learning about sustainable agriculture and living in a community of passionate, like-minded people. I came to Wild Earth excited to interact with the animals, but I have been surprised by how much I also enjoy working with plants and watching them grow. 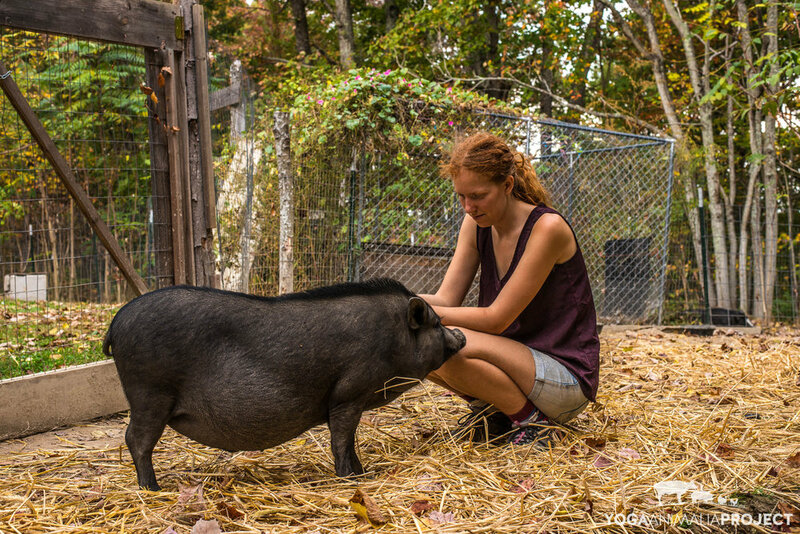 My time at Wild Earth has taught me to be a more effective activist and inspired me to envision a more sustainable system where humans share a respectful and responsible relationship with animals and the earth. Interning at Wild Earth was one of, if not the most beneficial and influential experiences of my life. It gave me the opportunity to learn about the world in a way I’d never before even thought to. Being surrounded by a community of people who have so much passion, vision and zest for life lived the way it should be is incredibly eye-opening. Each day was different and I’d find myself doing anything from weeding, to carpentry, to adventuring through the forest in search of wild blackberries; I was never bored! Some highlights of my internship include learning about composting, harvesting vegetables, bonding with the animals, checking out the hiking trails, and building gates for the animal areas. This internship helped me grow so much as a person and I am forever grateful for the opportunities, friendship, perspective, and new skills it has given me. To prospective interns, don’t be afraid to open your mind, your eyes, and your heart to this incredible chance of rediscovering yourself and your place in the world through this internship. I had such a wonderful experience at Wild Earth! I learned so much about sustainability and animal care. I really enjoyed working hands-on with the animals, caring for them and feeding them. I loved learning how to plant and harvest crops; having never worked on a farm or gardened before, it was a really rewarding experience to see the plants grow. My favorite part had to be giving the pigs belly rubs though! It was such an enjoyable and educational experience. I did everything from picking wild blackberries to cuddling with animals to composting! I loved every second of my internship and would highly recommend this internship to others. All the people living and visiting the farm have so much knowledge, wisdom, practical skills and wild visions from different fields and aspects of life, and also enthusiasm to learn even more and put the visions into reality. They together make the already beautiful farm and sanctuary even more inspiring and give a glimpse of an abundant tomorrow for us all. Throughout my time interning at Wild Earth, I had so many wonderful experiences, including compost making, fruit and nut tree planting, fermentation, prepping the garden beds for winter, caring for the animals, and learning how to grow food without the use of animal products. I found great joy in working with the dogs, ducks and pigs, and seeing them happy and well-cared for in their new homes. I really gained an appreciation for how everything on the land has a purpose or use. Leftover tobacco poles that would have gone to waste were salvaged to construct the compost bins. A large pile of wood left over from the previous landowners provided an array of benefits: the large pieces were used to reinforce the pig fence, the smaller pieces set aside for hugelkultur beds, the wood chips for mulching the garden pathways, and the rich soil underneath for adding organic matter to the garden rows for the following season. Seeing the resources from the farm definitely a highlight, and I look forward to utilizing Heather's composting method in the future. It was especially cool that all water used on the farm and in the house was captured on site using the underground cistem and rain barrels. I'm grateful to Heather, Joe and everyone else for providing me with an amazing experience on my first farm!